The Perse School was founded in 1615 by the will of Stephen Perse, M.D., a Fellow of Gonville and Caius College. It was first established in Lorteburn Lane, later called Free School Lane, to provide for 100 free scholars from all backgrounds. The original site is now the Whipple Museum of the History of Science. The School quickly established its academic credentials, sending a regular flow of scholars to Caius College. During the 18th century, however, it fell into a long decline. The governors of the School, Caius College, neglected to increase the salaries of the Master and Usher for over a hundred years. Unsurprisingly, staff of talent were not attracted, nor were pupils; the posts became sinecures for junior fellows of Caius and the surplus endowment was pocketed by the senior fellows. This torpor and corruption was not uncommon at the time – Harrow and Rugby also nearly closed. Protests in the local paper forced the governors to keep the School open but it took a court case in 1837 to reform the College’s abuse of Perse’s Trust and to put the School back on a proper footing. In 1881 the complementary Perse School for Girls opened with funding from the town, the University and the Perse endowment. A series of more energetic headmasters restored the fortunes of the School during the late 19th century and it moved into new buildings at Gonville Place in 1890. The experimental teaching methods of Headmaster W.H.D. Rouse (1902-28), notably the Direct Method of teaching foreign languages, attracted attention and talented teachers. The Perse established an international reputation in a matter of years, and Rouse also set up a Prep School and two boarding houses (including Hillel House, a Jewish boarding house). He also secured the ground on Hills Road on which he hoped to build a new school. The Upper School eventually moved to Hills Road in 1960 under the Headmastership of Stanley Stubbs (1945-69). The Perse received grants from the government as early as Rouse’s time, in respect of its experimental language teaching. From 1945-1976 it was a Direct Grant school offering free places to some 40% of pupils. Following the government’s withdrawal of the grant, The Perse became independent. The Sixth Form began welcoming girls in 1995 and the School’s move to full co-education was completed in 2012. 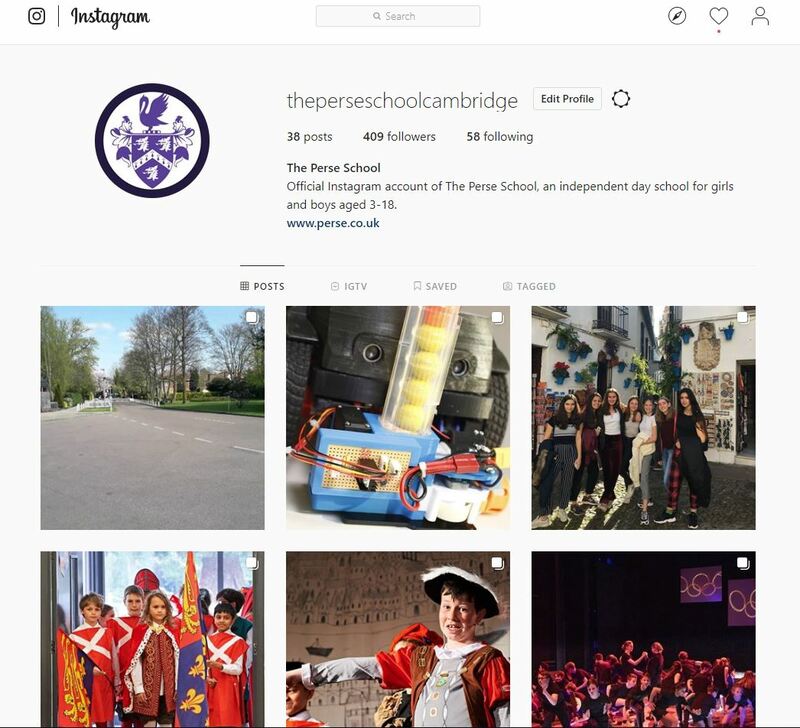 During this time the Perse School for Girls became a separate entity, evolving into The Stephen Perse Foundation, a diamond school group in Cambridge and Saffron Walden. The Perse celebrated its 400th anniversary in the academic year 2015/16. For more information about the School’s history contact the Archivist David Jones.